Spec. deals and discounts await you! The Caucasus has always been valued for its beauty, hospitable people and a great pastime. Annually the Caucasus is visited by millions of tourists and businessman. The Caucasus is developing each passing day, here is building factories, buildings. The demand for staff is increasing every day that gives an opportunity to come here to work. Due to these factors a huge demand for rental cars is growing. For many people is raising the important question - to rent a car or travel by public transport. Of course you can also still order a taxi. Is it worth waste the time each time while you are waiting for a taxi? The city can be traffic jams and before the taxi would come you may late for an important meeting. Besides, the price for a taxi is not low. Is it a comfort to travel by public transport? A bus, Minibuses both are in Georgia and in Azerbaijan and Armenia, but is the comfortable ride on public transport? - It is a question you should ask yourself. When the car is at hand, you can always get to anywhere in the city, at the same time will save your valuable time. Comfortable and safe car should be always with you, whether it be for business or just a trip out of town. Taxi or rent a car? List the advantages and disadvantages. Virtually in every taxi park in the Caucasus, all the cars are comfortable and secure, but there is one thing, the price of a taxi service high and you should always wait for a taxi. To use of Renting a car, you can save more than 50% of the cost of a taxi. And while you can get the necessary car for a long time, well and taxi parks can not give you an extensive selection of brands of cars, as there are often vehicles of the same type and class in the park. The advantage of car rental in the fact that many companies such as Naniko rent a car after each rental car pass detailed analysis that makes the car safer. Car rental with or without driver! Many companies offer the opportunity to rent a car without a driver, if you have the right and the desire to drive yourself, you can easily book your car out of the selected directory. If you decide to rent a car with Driver Company Naniko will offer you a highly qualified staff, drivers with experience of 5 years. All of our employees have information about health and also know all the routes. Our company has existed over 5 years. We began from Georgia and gradually establish branches throughout the Caucasus. We offer the best service to all guests of the Caucasus as well as for citizens. 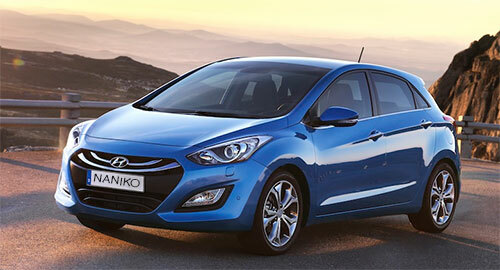 Rent a car in Naniko - the ability to get the necessary car with a high level of safety to the driver and without. The possibility of renting a car at one point and put into any other city where our branch. Our company can offer different cars based on your goals, if you choose to travel in the Caucasus, we can offer you the jeeps, buses, cars and so on economy class. For us is more important safety and comfort, so all of our cars are fully equipped with the highest European standards. Car hire in Georgia, the low price for comfortable car. Best car hire in Georgia. Only our company can offer you the best cars from popular brands. There are many interesting routes and places in Georgia that are of interest to many tourists. The Mountainous areas of the country are open to you! We can offer you a car with a driver in Georgia. Our company will be glad to hear all your requirements and wishes. You have the option of booking a car in advance through the reservation form on the website or by telephone. For each client, we have an individual approach and proposals. Our cars with low price and high quality. Rent a car Tbilisi with the company "Naniko"
Have you arrived in Tbilisi? and you need a car? The company "Naniko" is ready to offer you the best car. The service of our company fully complies with World standards. would you like a car for a business trip? We can offer the best luxury car and you do not have to be nervous about that in anticipation of Public Transportation or taxi will be late for an important meeting.Our driver will be at your service. Would you like a car for travel? We are at your disposal too. On our car you can overdue the roads of Georgia. You can hire a car with our professional driver during the travel too. It will makes conditions for more rest and relax. The cars for more comfort will be equiped by the additional accessories like a child seat, GPS Navigator, roof basket, rear mounted bike and so on. if you arrived in the Tbilisi international airport we will meet you there at any time. And if you arrived in Tbilisi railway station we will meet you there. For us it has not matter where and when do you want a car we can bring a car to you at any place where you are. You will book a car from "Naniko" in an online mode. And you will need only copy of your passport and driving licence. The company "Naniko" rent a car wishes you happy journey and the road! 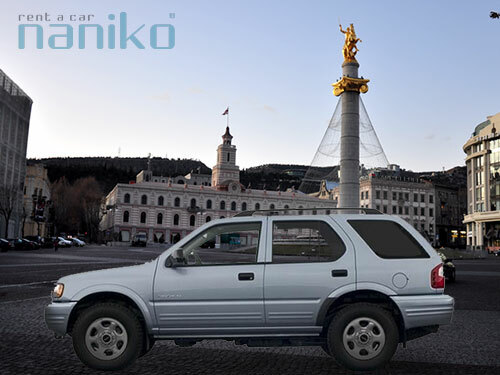 The company “Naniko rent a car” decided to open its own office in Baku. The company exists in many cities and it has big strides. Why the management of the company has chosen this city? It is the place where a huge number of businessmen are gathering every single day. As is known there is unlimited supplies of oil. It is a rich country. Because in the capital arrives many people. Besides it Azerbaijan is an ancient, old and historic country and there are many places to oversee. This country belongs to the Muslim world and its capital is unique place of Muslim culture. A lot of mosques are located in Baku and many come here to pray and see them. The city crowded by transport. It is very difficult to catch taxi in the rush hour and because take a car for a rent is very easy, convenient and practical. But main factor of our decision is that rent a car in Baku is very popular and with each passing day car hire is used by more and more people. Our company will be ready to offer its best conditions for car rent. Luxury cars of economy and business class with driver and without driver. We will meet you at any place of city. You will be able to book a car in online mode. Our staff will help you to choose a desired car. Comfort, safety and low prices will be guaranteed with us very soon in Baku. Car rental Yerevan will be with us very soon. Yerevan - the capital, ancient and largest city of mountain Armenia. The capital is one of the oldest, amazing and beautiful cities of the world. It is administrative, cultural, industrial, and educational and transportation center of the Armenian country. According to the latest statistics, about 1, 1293 people live in the city. The population of Yerevan increase every day. The gross area of the Armenia capital is about 300 km². There are two airports in Yerevan: International airport of Zvartnots and Erebuni airport. Yerevan is an ancient city and because there you will able oversees many historic places and sights on its territory. As everyone knows Armenia is a Christian country. If you are going to go to Yerevan and you need transport you can refer to the company which gives cars for a rent. There are many companies for a car hire, but i want to speak about our car rental company - "Naniko". "Naniko" exist in many countries during long time and now its administration is going to open its branch in Yerevan. To make your trip unforgettable and memorable contact us and we offer the best service for a car hire. "Naniko" has different types of comfortable cars, economy class, business class and you can choose any of them. The car will be additionally equipped with accessories, for example: GPS Navigator, roof basket, child car seats, rear mounted bike and so on. Everyone, at any time you can book the car in an online mode. You can get necessary information from our staff. And not be afraid of loss on unknown roads because GPS Navigator will help you. These additional accessories will be offer with the lowest prices. If you are hurry you can contact us. We will not leave you in a difficult situation. "Naniko" has convenient service - additional driver. You will be able driving a car yourself or use our driver. We will be at your service at any point in the city: in the centers, bus stations, suburbs, railway, airports. It is no matter if you will late our driver will await you if it will be necessary as much time as you want. The security of our car will be guarantied because they will inspect regularly. If you will arrive in Yerevan and you will become our customer you will satisfied with our service. Your journey with us will be comfortable, safe and cheap.